There are lots of things we can plant in the garden that will provide structure and interest in winter. Evergreen plants provide the backbone for any planting scheme and in winter they are the only plants with foliage. 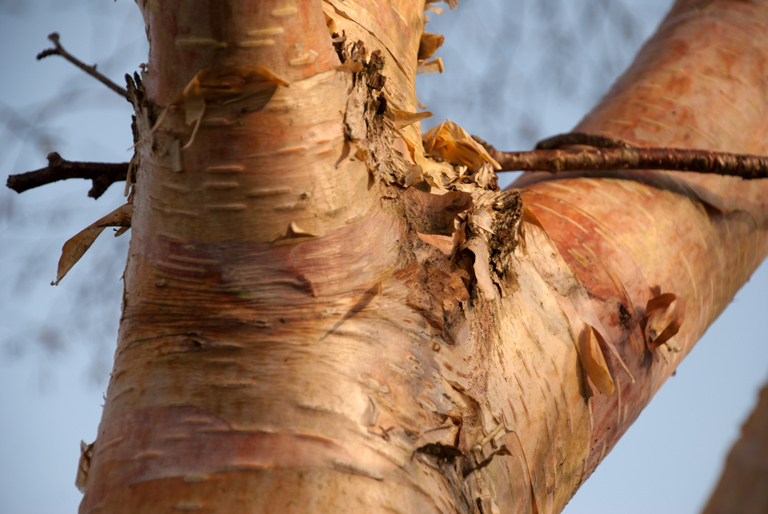 Other plants produce berries or flowers that are often scented and coloured brightly, but if you want something that’s really eyecatching there are many species of shrubs and trees that have wonderful stems and bark that really come into their own. 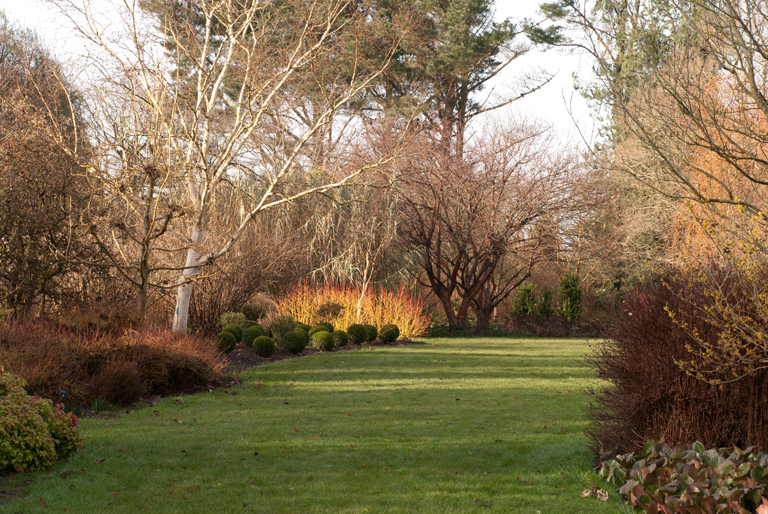 If you read my blog post last week about the Sir Harold Hillier Garden in Romsey then you’ll have a good sense of how wonderful these can look in the garden, but I thought it might be helpful to give you some more specific ideas about how to use colourful stems to bring your garden to life in winter. 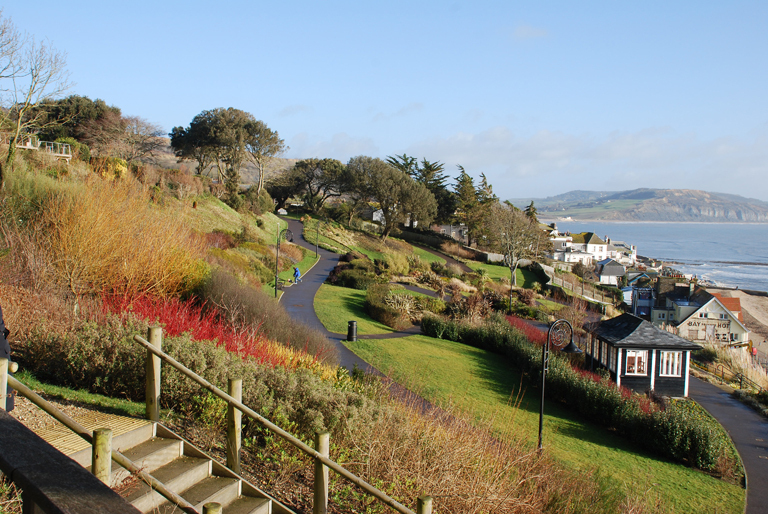 This picture was taken one January at Lyme Regis. As part of the regeneration project to try to save the cliff from falling into the sea, the public gardens have been relandscaped and it looks wonderful now. I wanted to show you how well the red cornus stems shine when the light catches them. The eye of course goes directly to the firey orange and red Cornus (Dogwood) stems but if you take the time to really look at the picture you’ll also notice that the trees are looking fabulous too. The Silver Birch on the left obviously stands out with its white bark, but the two Prunus serrula (Tibetan Cherry) at the far end of the picture have wonderful shiny mahogany bark which glows when the sun catches it. Tree bark can be really interesting in winter, even if it’s not particularly noted for it’s colour, and there are many species and varieties that look spectacular at this time of year. The Acer griseum (below) is one of my favourites and is great for the small garden because it’s slow-growing and doesn’t get too big. 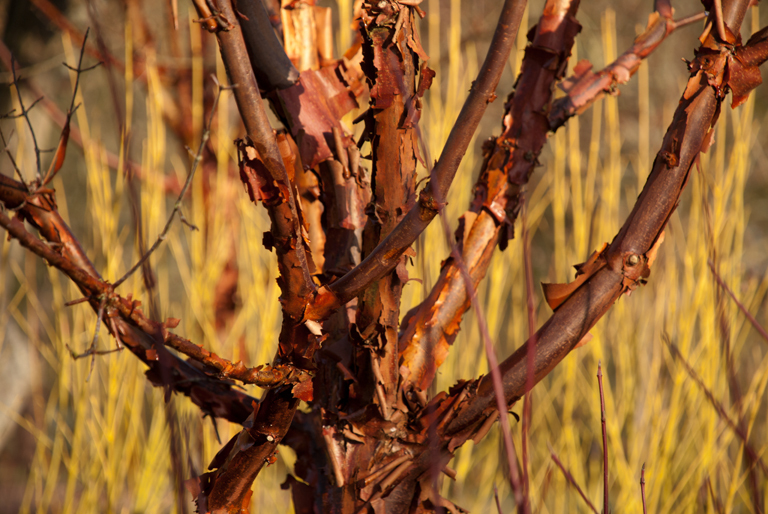 If you’re impatient to wait, but you want the same sort of look, then Prunus serrula is a great alternative. Many other Acers have wonderful bark too. 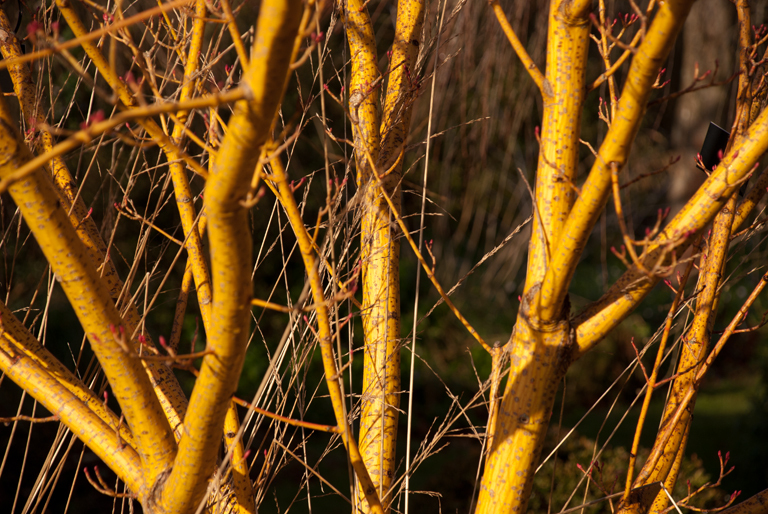 Acer rufinerve ‘Winter Gold’ (above) has golden bark and Acer x conspicuum ‘Phoenix’ boasts brilliant coral shoots that look fabulous when planted with a winter-flowering shrub such as Hamamelis (Witch Hazel). 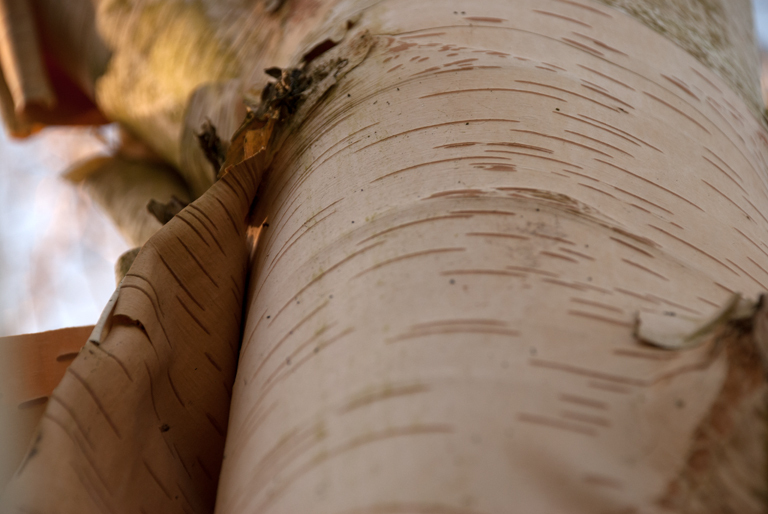 Perhaps the most common trees of all are the Silver Birch (Betula) which anything from the brilliant white bark of Betula utilis var. 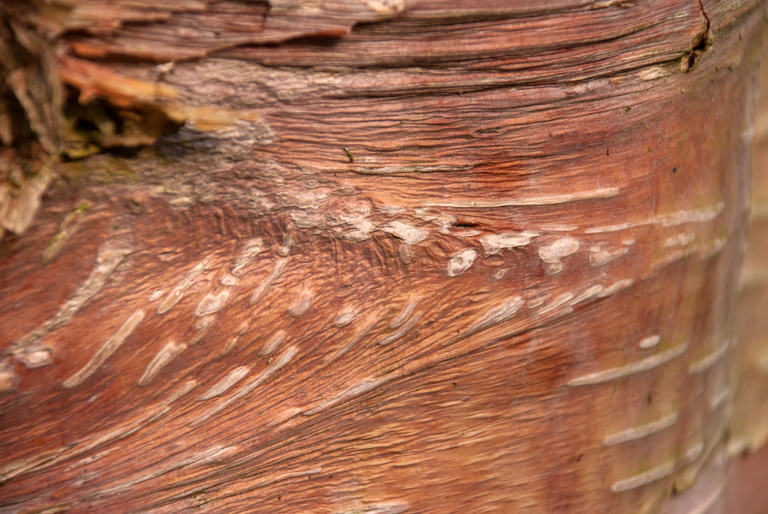 Jaquemontii to the pink peeling bark of the Betula albosinensis var. Septentrionalis. Trees don’t have to have coloured bark to look interesting in winter. Some have twisted or contorted branches that really come into their own in winter when you can see the full splendour of their shape. 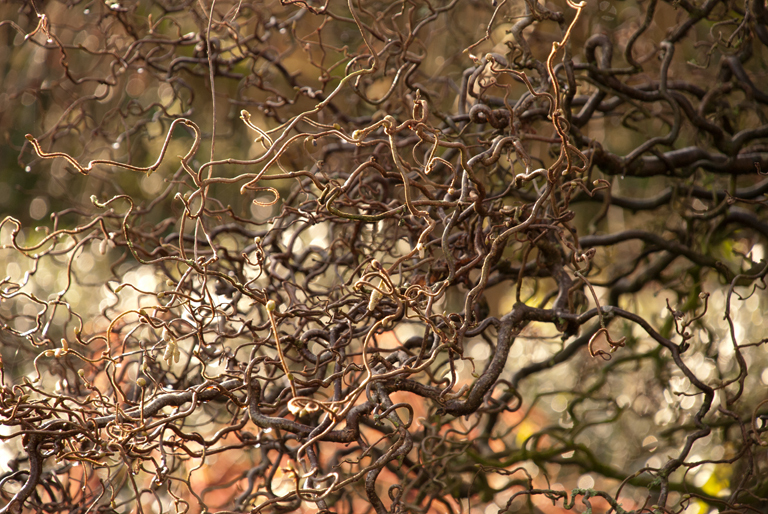 Corylus avellana ‘Contorta’ (Contorted Hazel) looks a bit messy in the summer but in winter it can provide a really interesting focal point. 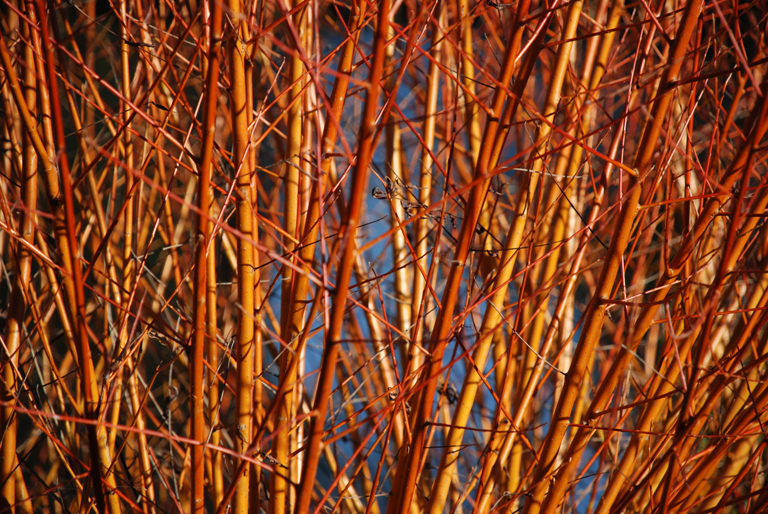 Dogwood (Cornus) and Salix (Willow) are the obvious choices if you wish to make the most of their young firey stems which range in colour from dark purple to orange/red to white. They look particulary gorgeous when planted near water but the stems must be cut down each Spring because it is the young stems that provide the glorious colour. 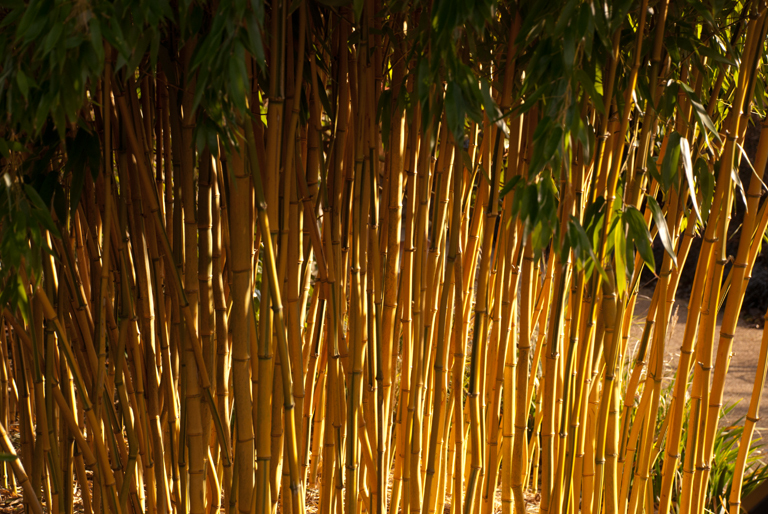 Bamboo often has interesting stems and Phyllostachys aurea looks particularly good in the winter garden because the sunlight makes the stems glow. For coloured stems, there’s also Rubus (bramble) which although is thorny and unfriendly to the gardener, looks fabulous in the winter sunshine. 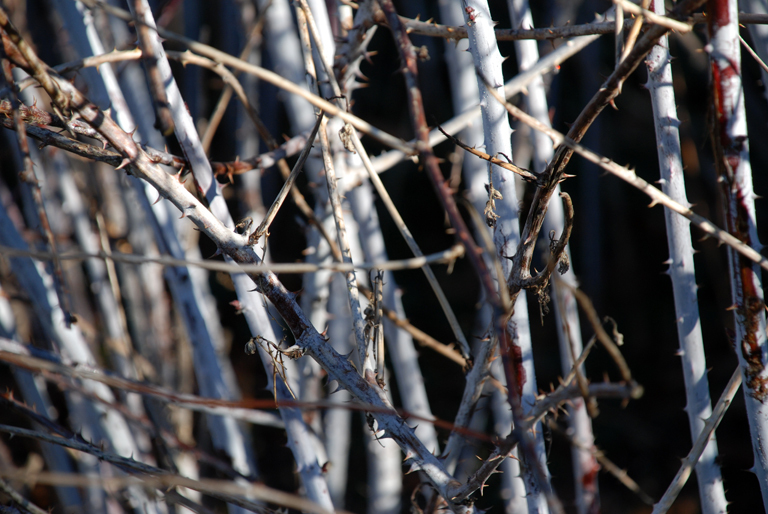 The white stems or Rubus cockburnianus are silver and look wonderful when planted with other winter-stemmed plants like Cornus. So, you’ll see that there are many plants that can add value to your garden in winter and most look good in summer too so there’s no reason not to consider them when you’re next choosing plants for your garden. 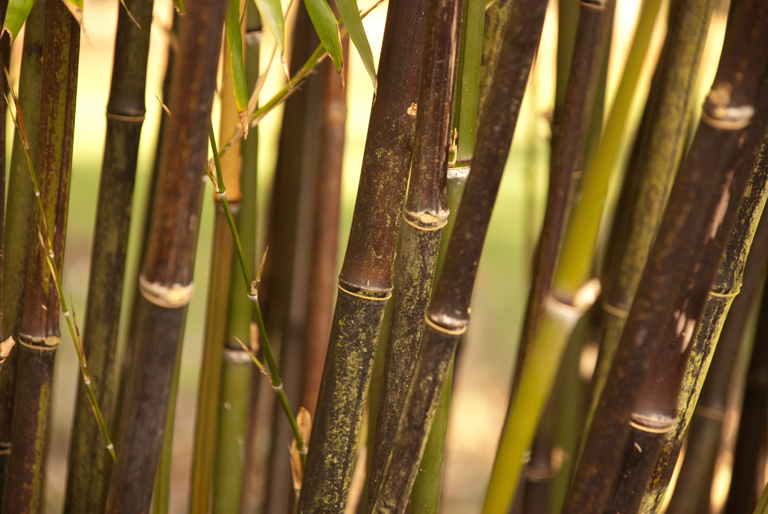 If you do choose to plant something with amazing stems be sure, if possible, to plant them where they’ll catch the sun – they’ll look great whatever the weather but with a little bit of sun, they have the potential to bring the whole garden to life!